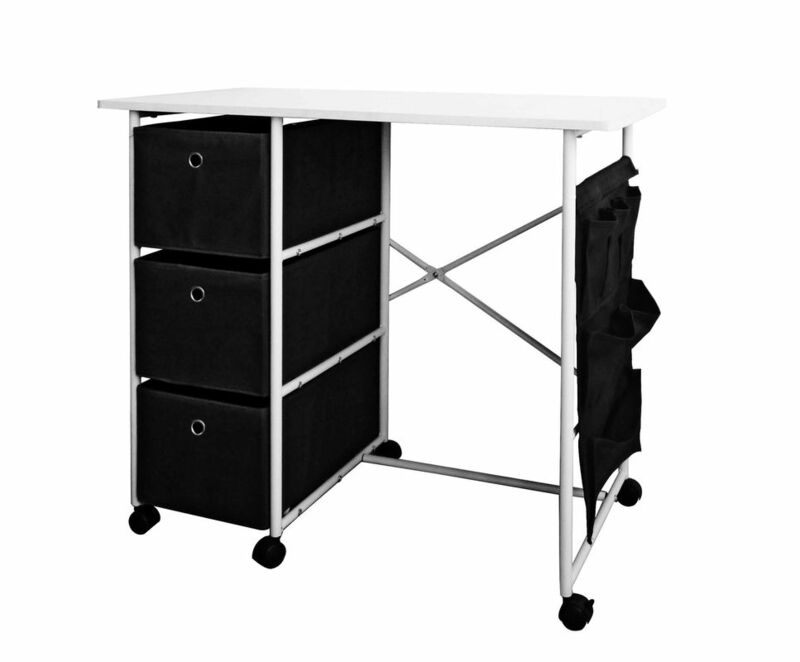 The metal frame and track-style legs ensure robust stability, sturdy enough to support an all-in-one computer, wheels can park or move the desk. 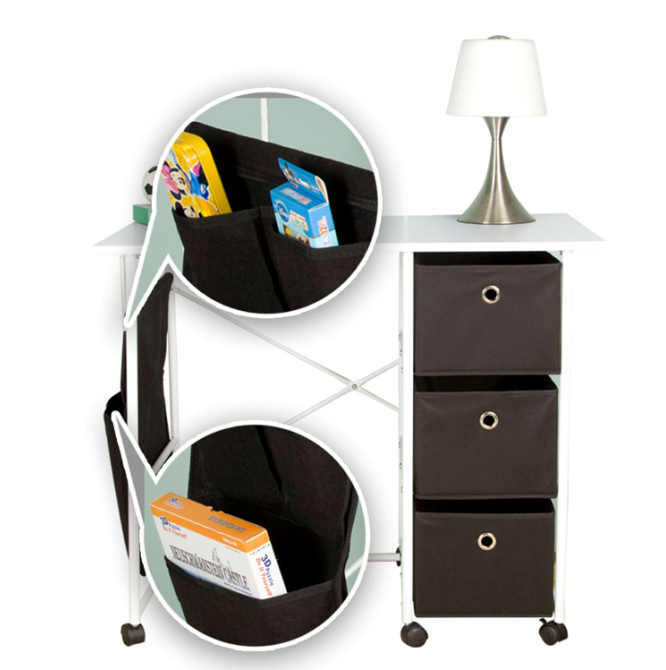 Non-woven drawers and hanging pocket for your cell phone, magzine and desk accessories. 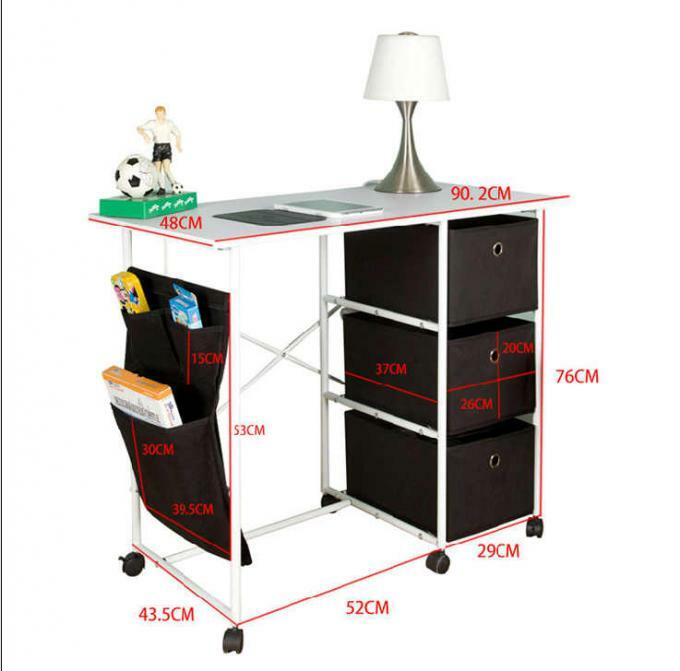 Simple and convenient with wheels easy to moving around in your room.